So, I don’t know about you but I have been getting SUCH a sweet tooth lately and of course it is coming at the worst time. You know, new year…I just turned 30…like, maybe I should cut back? Feeling a slight bit of guilt and trying to put yoga and the gym into overdrive, you know? I believe in everything in moderation and if I want something sweet, I’ll have something sweet. However, instead of grabbing a candy bar I make my very own peanut butter and dark chocolate bites. I use all-natural peanut butter with melted dark chocolate and sometimes I like to add honey or a touch of sea salt. The best part of making these sweets treats is that you control what goes into them, how much (or how little) chocolate you use…dark, sweet, semi-sweet, whatever! Get creative and add nuts or coconut flakes. This little cup is all about the customization’s. Make them cute and mini or a little wider like Reese’s Peanut Butter Cups. This version also has less sugar in it as an added bonus! I like to keep these peanut butter cups in the freezer, but if you like a creamier consistency I would recommend keeping them in the fridge or even in a Tupperware on the counter. Have fun making these treats! 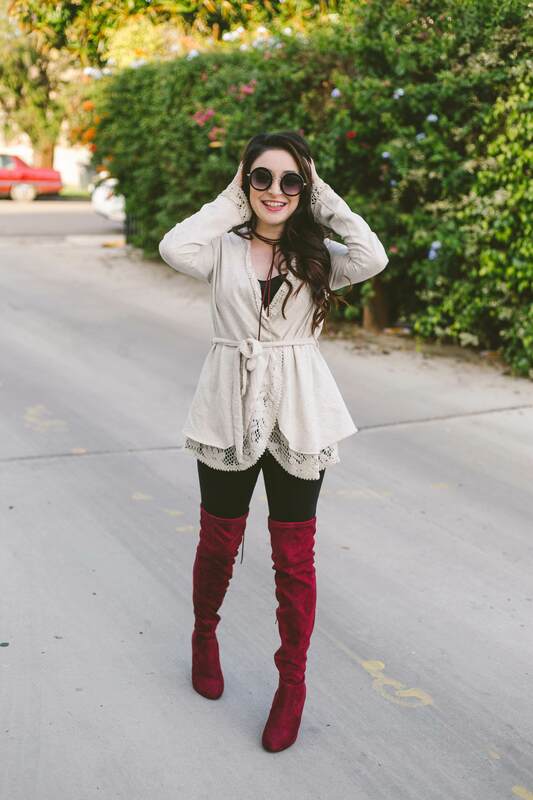 I would love to see all your customization’s on Instagram with the hashtag #sweetandmasala. Add 1inch of water to a medium saucepan and bring to a simmer. Place a heat-safe bowl on top of the saucepan and make sure it isn’t touching the water. Add chocolate chips and melt until smooth. Spoon chocolate into mini paper cups and create a ½ inch base. Place the cups in the freezer to set for 5-10 minutes. In the meantime, make the peanut butter filling. Combine the peanut butter, coconut oil and salt, and honey (if using) and stir until smooth and creamy. 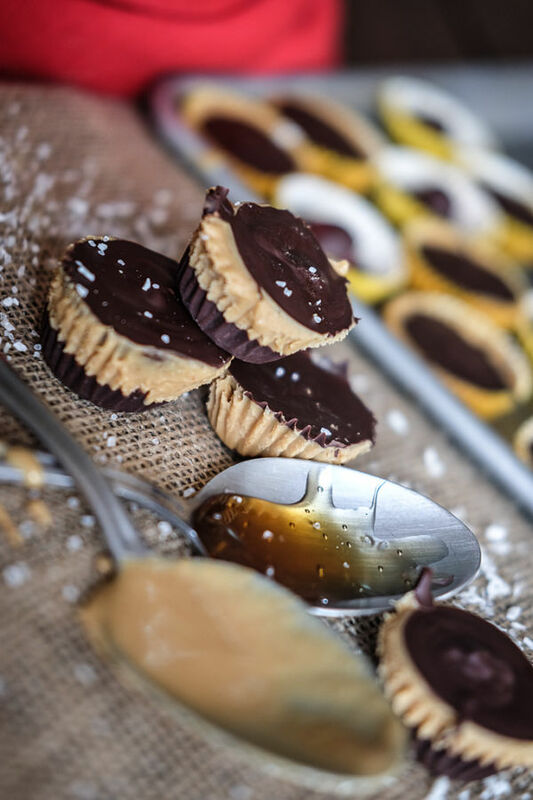 Remove the paper cups from the freezer, and place a dollop of the peanut butter filling in the middle of each chocolate shell. Leave room around the edges, for the chocolate filling to cover the sides of the peanut butter. Add a final layer of melted chocolate, and put back in the freezer to set for an hour or so. Double layer cups to keep sturdy before adding chocolate. They look delicious. I wish I can have time to prepare this myself. Hey great idea of using the honey instead of sugar. Any alternatives to peanut butter maybe? Thanks. Yes lots! You can use any nut butter…almond, cashew, walnut. If you can have nuts, maybe a carmel? I agree that you should be able to have everything in moderation and I think it is great that you use all natural peanut butter. Even better this reminds me of these delicious vegan peanut butter cups I had the other day, but I bet your version tastes even better! These butter cups looked extremely delicious and I loved the fact that you used honey instead of sugar. Shall try making them. No matter what diet I am on chocolate is never far from my reach! I do believe I will never stop eating it! These looks yummy! yasssss, you are my spirit animal! Oh wow these look AMAZING! I would never think to use honey instead of sugar, I am definitely going to try them out! These beauties look absolutely divine, I would happily make and gobble the lot. Unfortunately I would have to share with my daughter. That was super easy and looks quite delicious to me. Hadn’t you write the steps down, I would never intend to make any of these in my entire lifetime. But now, I am gonna try these out and will let you know how I ended up with it !! I love Reese’s Peanut Butter cups so this sounds like a great way to recreate them! Not sure I’d be able to stop myself from eating the same batch in one go! I swear by Xylitiol – its a sweetener made from Birch – it tastes just like sugar but its low GI so suitable for diabetics, and not bad for your teeth either! YUM! I love that this recipe uses simple and real ingredients. What a quick and healthy treat! This looks divine, the recipe seems fairly easy to follow so can’t wait to try out in the weekend! Also great that you use honey! I believe in everything in moderation too. This looks so yummy. Will try it. Oh goodness! The chocolate cups look too yummy already! Honey and coconut flakes makes everything way too tempting in fact. I’ve tried baking with my mum using honey instead of sugar and yes, it makes it even better . I love peanut butter cups. And it’s cool this version has less sugar. Also those coconut flakes would add a lot of flavor to it. Sounds so delicious. These look SO good! I’m with you on having everything in moderation, we’ve got to have a few treats along the way. You cannot go wrong with peanut butter and dark chocolate… Gonna try this recipe for my daughter. I don’t really like dark chocolate but this looks TOO good not to try! This looks so yummy! 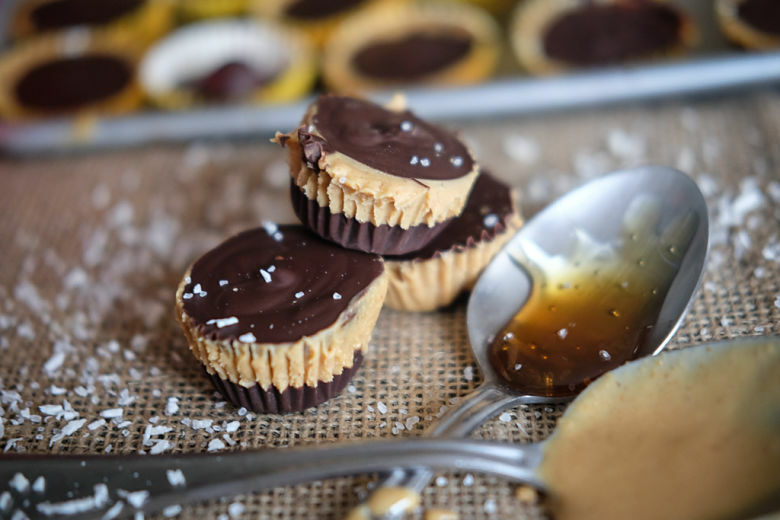 I believe that Peanut Butter and Dark Chocolate Cups may taste good, I will try this recipe. So I’ve gone sugar free for 30 days in January. I don’t plan return to the same diet I had in the past, but I do plan to incorporate dark chocolate back into my life. This recipe is perfect. I can add as much or as little chocolate as I like. I love the idea of adding coconut too. Ooo coconut would be so good!